Sometime forgotten in reenactmets, they were an important part of military equipment. 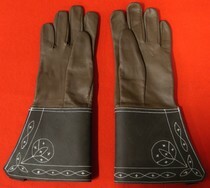 These gloves can be seen in Empéri's museum and are shown page 60 of the book "les Trésors de l'Empéri". Only size L on stock. 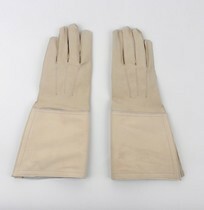 Nice natural colour, copied on 200 years old gloves. They are open on side to pass easily cuffs. 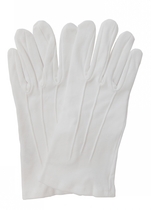 CAUTION: Part covering fingers is very thin, so these gloves fit for parade, but not for heavy duty as horse riding or fencing. Don't order them if you want to use them intensely, we won't exchange them .